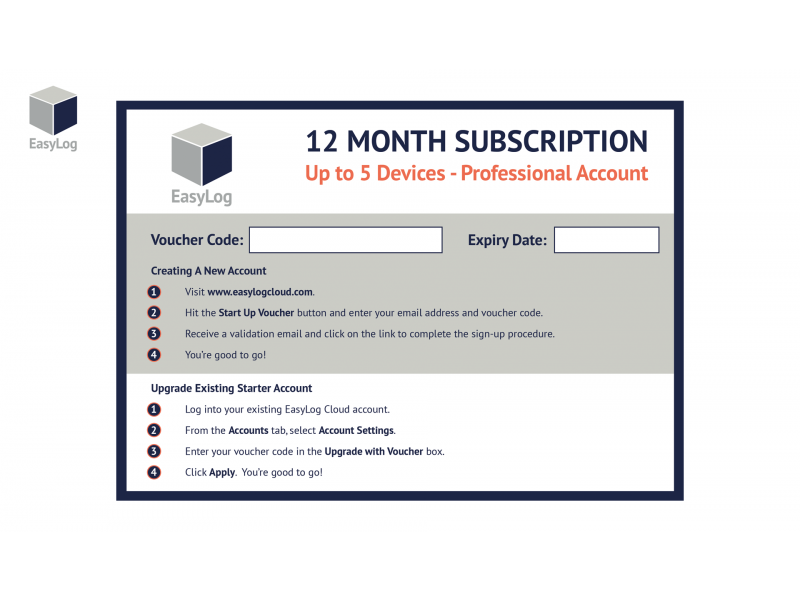 Lascar Start-up Cloud voucher 12 months up to 5 devices. 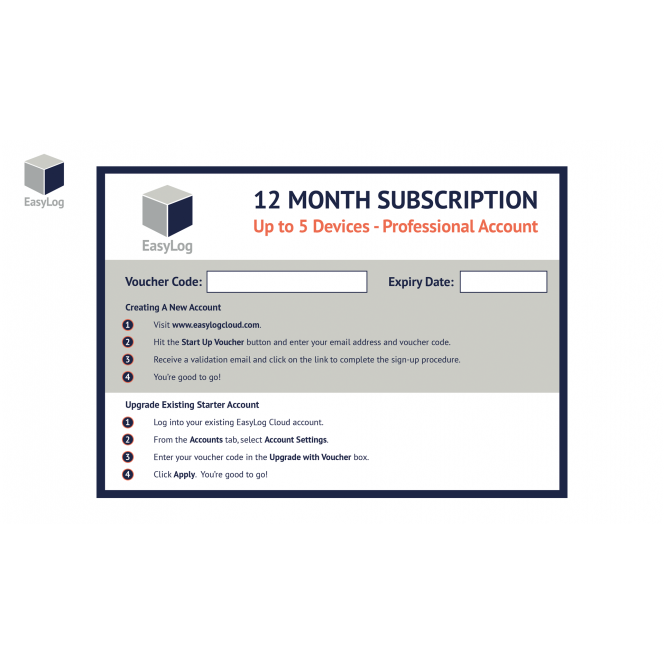 CLICK HERE and select 'Start up Voucher' to enter your code once received. 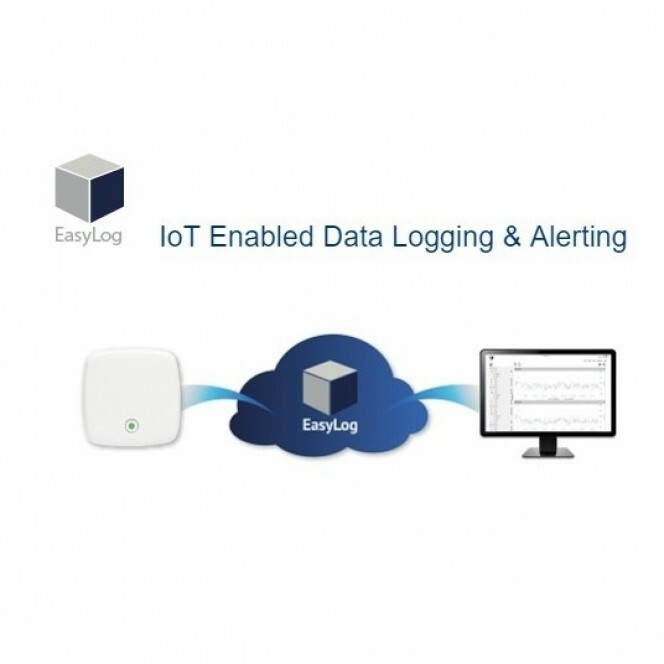 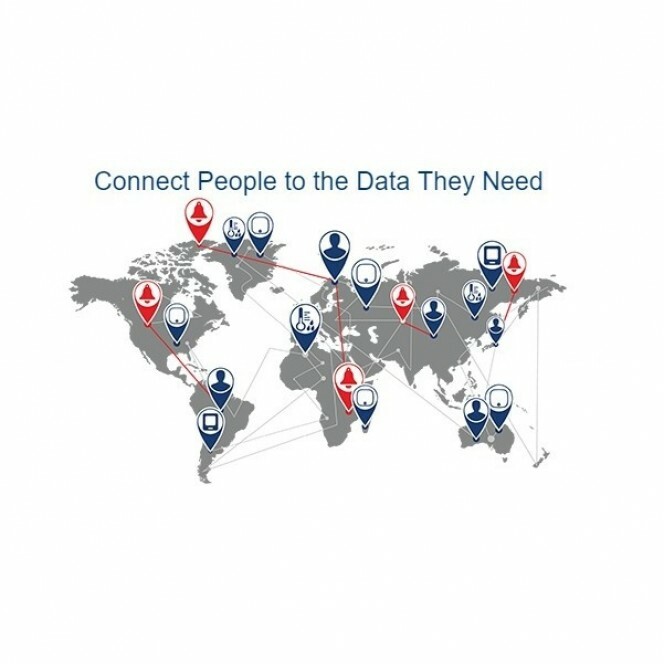 EasyLog Cloud harnesses the power of IoT to automate data logging and alert notifications. 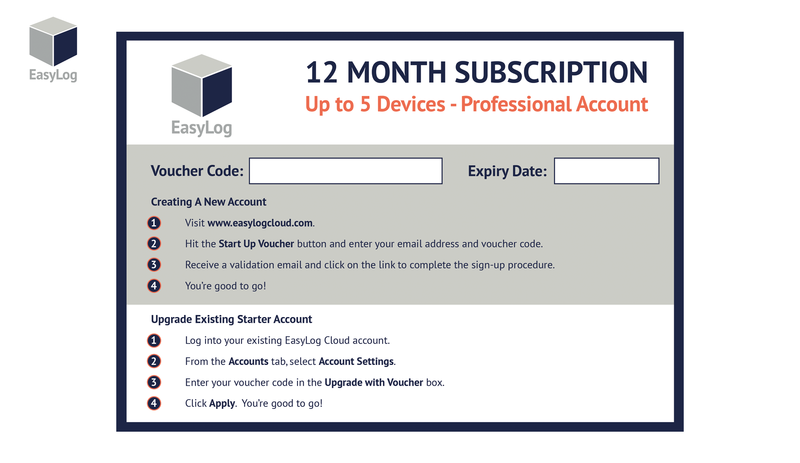 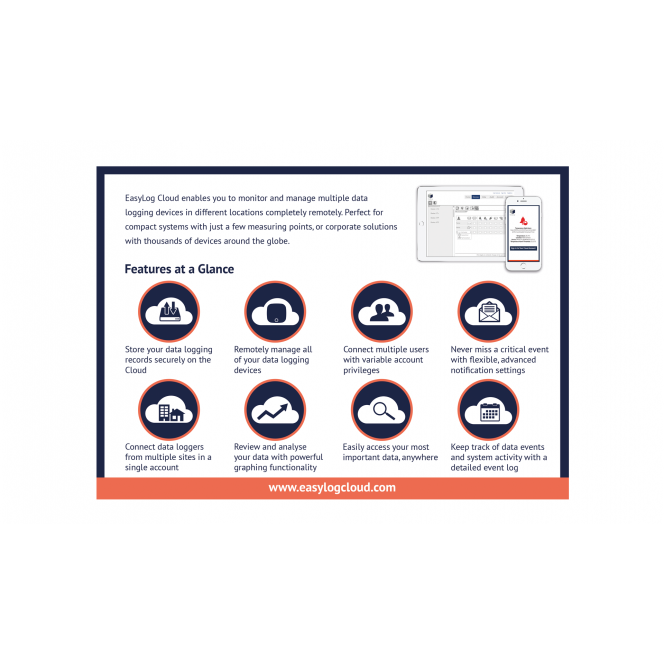 Offering all of the features described below and many more, EasyLog Cloud gives you the ability to monitor and manage multiple data logging devices in different locations completely remotely. 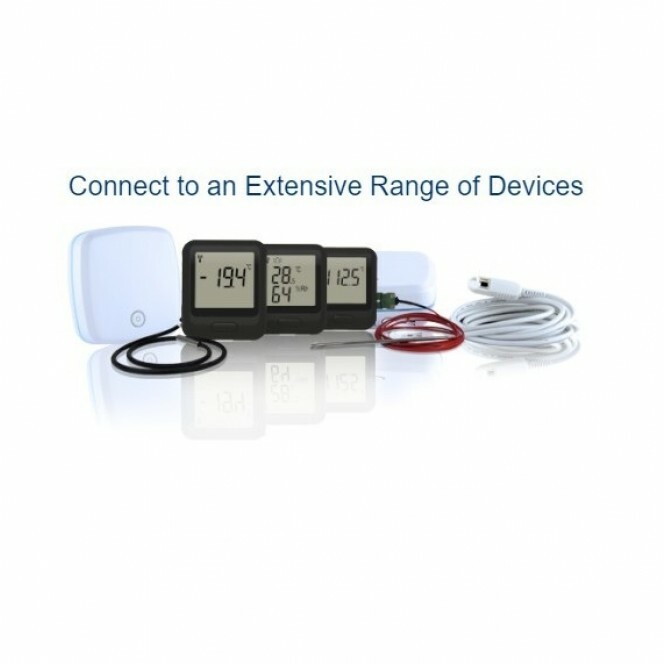 The system easily scales to meet your needs. 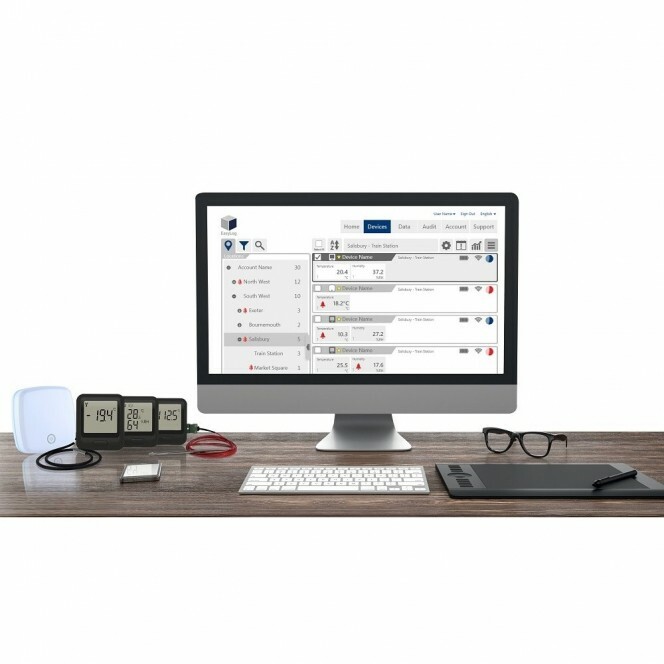 Perfect for compact systems with just a few measuring points, or corporate solutions with thousands of devices around the globe.